If you think there's nowhere left to go in the world of eyewear innovation, the German design experts behind the pioneering MYKITA Eyewear hinge would beg to differ. Traditional screw construction? That's a thing of the past. MYKITA (founded in 2004 by Philipp Haffmans and HaraldGottschling) replaced soldering and screws (that have traditionally been the weakest link in eyeglasses) with a unique snap-hinge forgedfrom top-quality stainless steel.The hinge, as seen below, is completely screw-less! This MYKITA hinge is a technical marvel. 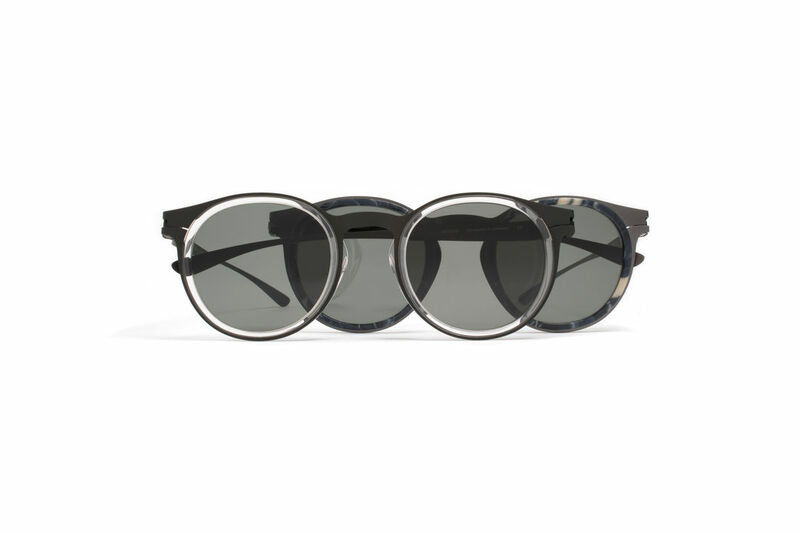 Every piece of the frame is cut from sheet metal a mere0.5 mm thick, which results in ultra-light, featherweight glasses that feel like wearing nothing at all. And when you have no screws then it's even lighter! The hinge itself is created using a system of carefully calculated folds – no screws means that the signature MYKITA hinge requires virtually no maintenance. There's nothing that can loosen… nothing you can lose. Add to that the fact that the MYKITA hinge can easily be described as a heretofore unheard of pinnacle of frame resilience, and it's immediately obvious why MYKITA eyewear is making screws in eyeglasses utterly redundant.Haffmans and Gottschling's original, modern design proves beyond a doubt there's strength in simplicity. The best part? The MYKITA screw-less hinge allows for total frame flexibility and a true customized fit for any facial proportions. That means that whatever MYKITA style you choose, your glasses will look like they were made just for you.